Brandon Thomas Certified Instructor (BTCI) is an art instructor who is trained by Brandon Thomas and Brandon Thomas Art. The Brandon Thomas Certification program is an online program designed to train you on YOUR time. When you sign up to start the program you will receive an email with the program outlines for your training concerning assignments you need to complete and in what order you must complete them. The BTCI program is $359 To be able to sign up for the BTCI program, you will need to send in several paintings of your landscapes and seascapes to be approved. 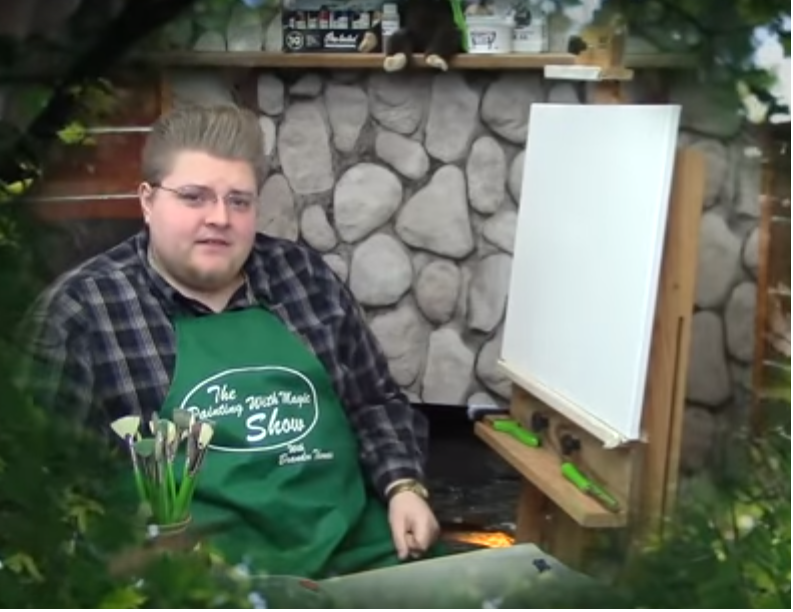 You must have a firm understanding of how the wet on wet technique works. This is not a program for beginners.Once you're approved, you will receive an invoice to pay for your BTCI training. When you complete training, you will be ready to instruct classes and be a part of the BTCI team! Why join the BTCI team and the Brandon Thomas Art family?​ Many companies who offer an instructor program or partner programs, do not give their instructors the tools, benefits or support they need. I know what you need to succeed! I have instructed many classes over the years and have worked with many companies and know their behind the scenes. And I can tell you they could care less about you! many have kicked their instructors to the curb and have taken away their benefits and give them ZERO support. I can tell you that I know what YOU need to succeed in your workshops. And will give you the tools, benefits and support to make you a success! My team and I will work with you every step of the way! Below is some of the many benefits of becoming a Brandon Thomas Certified Instructor. Here are 5 more reasons to become certified with Brandon Thomas Art! 1. Certification provides the necessary credentials that many students and hosting venues are looking for. 2. Own your own business. Teaching others to paint can be profitable AND fun. Some instructors put on weekly classes to gain steady revenue. What could be better than earning money doing something you love? 3. 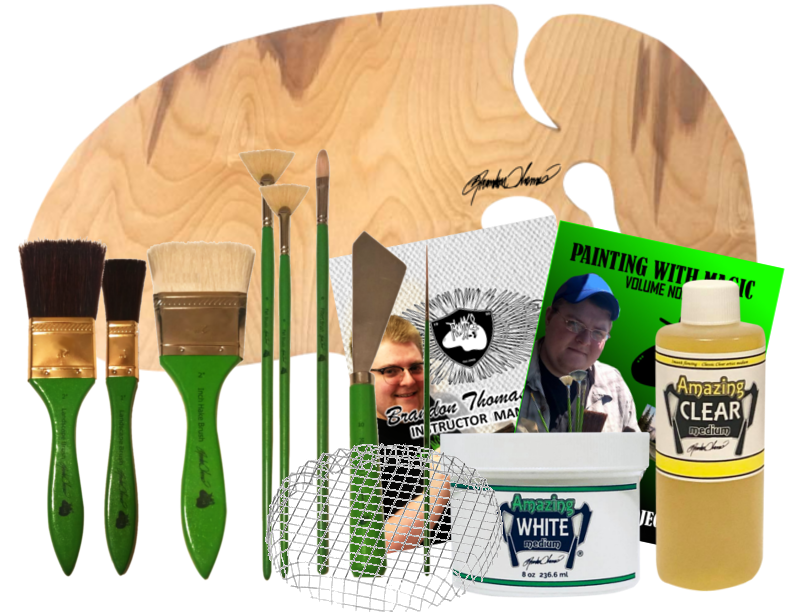 Receive a 40% discount on Brandon Thomas painting supplies. Let me say that again. 40% discount! This includes brushes, Mediums, sets and other accessories. This discount only applies to Brandon Thomas Certified Instructors. 4. Affiliation with a respected company. Brandon Thomas Art is growing every day and has over 2 million viewers online from all over the world. This will help you become a success in the classroom. As we grow you grow. We are always working hard so you and your students will be successful! When you become a BTCI, you will receive 40% off original price discount on Brushes, brush sets, thinner screens, gesso, and mediums. The only items the discount will not cover are easels, books, palettes, video downloads, and how to packets and DVDs. This discount allows you to supply your classes with professional brushes, mediums and accessories for your students or you can use this code to resell brushes to your students or on your website. To receive the discount you will have a discount code in our online store. When you become a BTCI you will receive permission to use all Brandon Thomas projects in your workshops. This will give you more options for your students and will help bring more students. 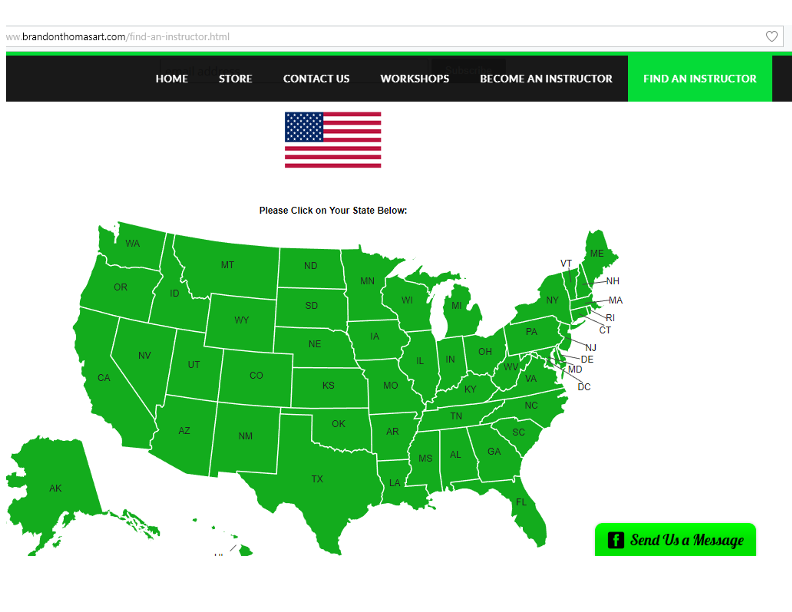 You will also have the right to use our logo on your website, class signup sheets, business cards and any other promotional materials you would like. When you become a BTCI, you will be listed on the Brandon Thomas Art website. With your name and contact information. Many other companies DO NOT list their instructors. And this making it harder for students to find you! When you become a BTCI you will have permission to use the Brandon Thomas name, logo and the Painting With Magic name for you classes and promotional materials ONLY. When you become a BTCI, you will also receive a certificate in the mail. This will show that you are an official member of the BTCI team and have rights to use Brandon Thomas projects. Can my BTCI certificate get revoked ? Yes! If you violate the use of the logo or name(s) (such as slandering the company or any conflict of interest) your BCTI certificate will be revoked. No refunds. 1. Artwork must be advanced enough to join our training program. 2. Must be in good standing with Brandon Thomas Art. These are all the requirements you will need to meet to join the BTCI training program. 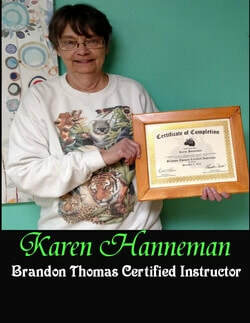 If you are ready to join our BTCI training program, send us an email at brandonthomasart@aol.com with several of your best landscapes and seascapes to be evaluated. Once you are approved, you will receive an invoice of $359 (plus shipping) . After receiving payment, your BTCI training package will be processed and shipping. When you receive the BTCI training package, send us an email. We will then send the program outlines with what you need to get started and what assignments you will need to complete during your training. After you send payment, you're committed to the program. No refunds are giving on any Instructor program. So make sure this is something you're ready to do. The BTCI team is like a family and you will always have support! Brandon Thomas Art offers the best support to help you become a success. Although you will need to work everyday to build your new business, BTA offers support through our social media pages, website, new projects and products. Something other companies are failing to do. Contact us and join the growing family! hen you join the BTCI training program, you will receive a training package. In this training package you will have everything to start your training other than paint, canvases, easel and cleaning supplies. But in this package you will receive almost $200.00 in supplies alone!! So what's in the BTCI training package? ​#1 - (1) full set of Brandon's signature brushes.